Now that Governor Charlie Baker has settled into his second term, some of the Massachusetts Republican Party staffers who helped bolster his reelection campaign have landed directly in his administration. State officials have recently hired four of the state GOP’s operatives, including two directly within the governor’s office. Weeks before that, the party’s former chair — and a Baker favorite — also secured a full-time job in the Norfolk County sheriff’s office, where a Baker appointee had recently taken over. First there was Matthew St. Hilaire, the party’s onetime executive director, who previously served as director of personnel and administration in Baker’s taxpayer-funded office. He returned to the administration in February as a full-time management consultant for MassDOT, according to payroll records, before assuming the title of the MBTA’s new $152,000-a-year chief human resources officer. Georgia Polemenakos, formerly an assistant at the party, followed on Feb. 14, taking a $52,000-a-year job as a program coordinator in Baker’s office. Weeks later, on March 4, two others joined the administration: Jordan Maynard, a party statewide field director in 2018, was named Baker’s director of boards and commissions, a $94,000-a-year post. And Naysa Woomer, who handled press for the state party through Baker’s reelection run, became the spokeswoman for the state’s Department of Revenue, making $68,187. 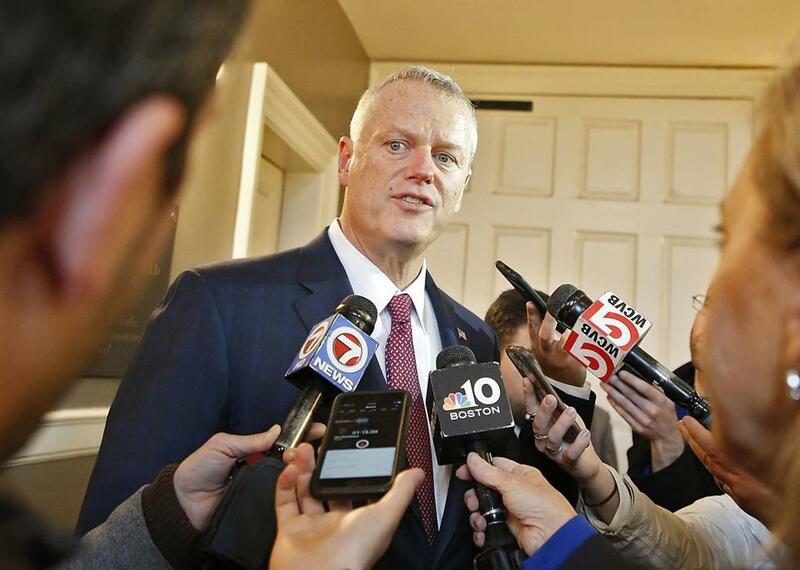 A spokesman for Baker, who once pledged to “root out patronage” in state government, did not answer questions about how much bearing their role with the party had on their hiring. But the timing was not coincidental. Each had recently left the party as James Lyons, a former state representative, began his term as chairman in January after beating out Brent Andersen, who had the backing of Baker’s political team. Kirsten Hughes, who served as the state GOP’s chair for six years, was hired in November as a special legal counsel at the Norfolk County sheriff’s office. She’s since been named the office’s full-time, $110,000-a-year general counsel. She was tapped in late January by Jerry McDermott, a former Boston city councilor and aide to former senator Scott Brown, several weeks after Baker had appointed him to take over the department. McDermott last week also appointed Hughes as the agency’s so-called special sheriff. The title doesn’t carry any additional pay, said Kara Nyman, McDermott’s spokeswoman. But Hughes would be next in line to take over should the sheriff step down. She also serves as acting sheriff when McDermott is out of state — including next week when he travels to Colorado over five days to attend the National Sheriffs’ Institute, a training program designed for first-term sheriffs. McDermott had been considering naming Hughes to the post since she was hired as general counsel, but with his upcoming travel, “he thought the time was appropriate to name her special sheriff,” Nyman said. And the job shuffling wasn’t limited to only former party staff. In late March, Keiko M. Orrall, a GOP national committeewoman, was announced as the new director of the state’s Office of Travel and Tourism. At the time, Baker aides did not detail any jobs Orrall previously held in the travel or tourism industry, but they defended her hiring by saying she worked on a “wide range of tourism issues” as a lawmaker.